Finally, finally, FINALLY we can announce something that we've been waiting for a long time! It's really good news for all the fashionable men out there. 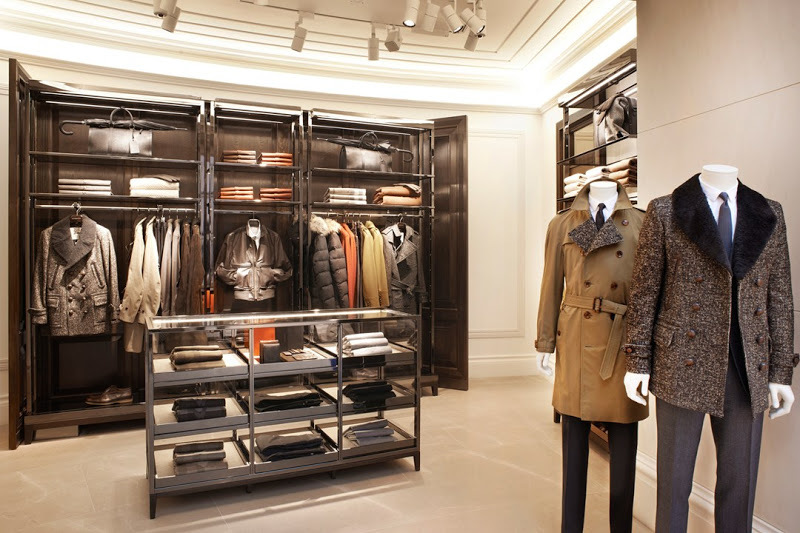 Burberry opened it's first menswear ONLY store yesterday! So no more elbowing through womenswear to get to the good stuff: men finally get what they deserve! ;-) We can't wait to visit London and go check this new store out. We, Nino and Christophe, have some pieces of this brand ourselves. We're actually planning a new outfit shoot, because Nino purchased a Burberry London wintercoat a few weeks ago! Soooo back to the store! 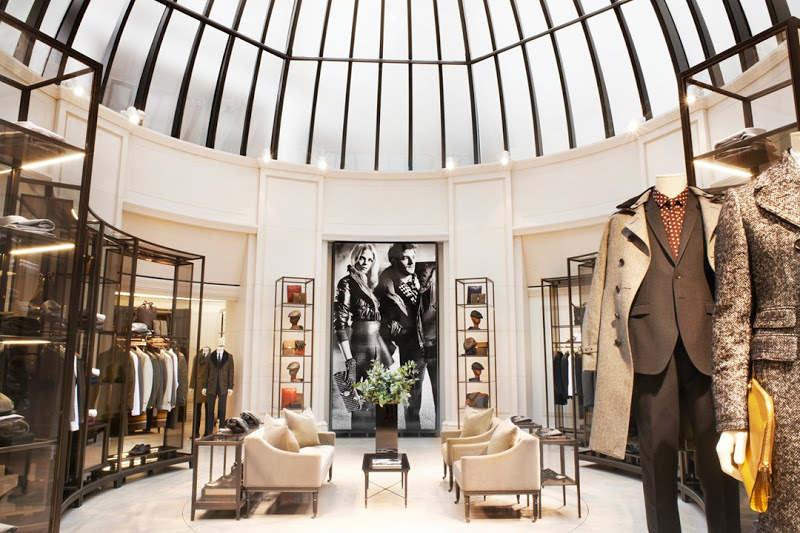 It reflects Burberry's renewed focus on suits and tailoring. You can find the largest selection of Burberry's tailoring stock there and, on top of that, the store also houses a new tailoring service! Say what?! Let us explain. They offer the client a wide selection of suits that you can personalize to your individual needs. And best of all, your suit will be delivered within 48 hours! A tailoring specialist will help you and give you professional advice. Tailoring starts at £850 (which is about €1000). Totally love this! We know what to do with our next (student) paycheck, don't we guys? This will be great for all the men out there! OMG! It´s a beautiful place to buy! Love it! HOWWW Awesome!!! JUST LOVE LOVE LOVE the way they decorated it! Soooo beautiful and love all of their jackets! Gotta get my dad into one!!! So awesome that store !! 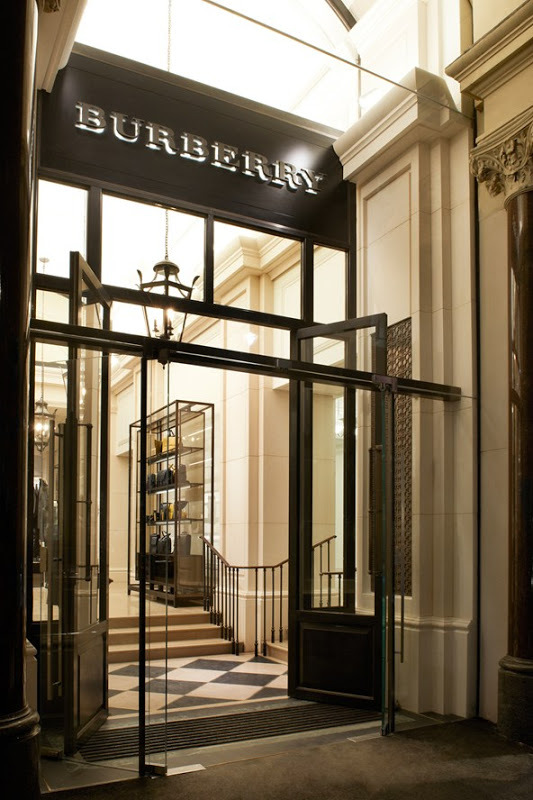 I love burberry and its fabric! 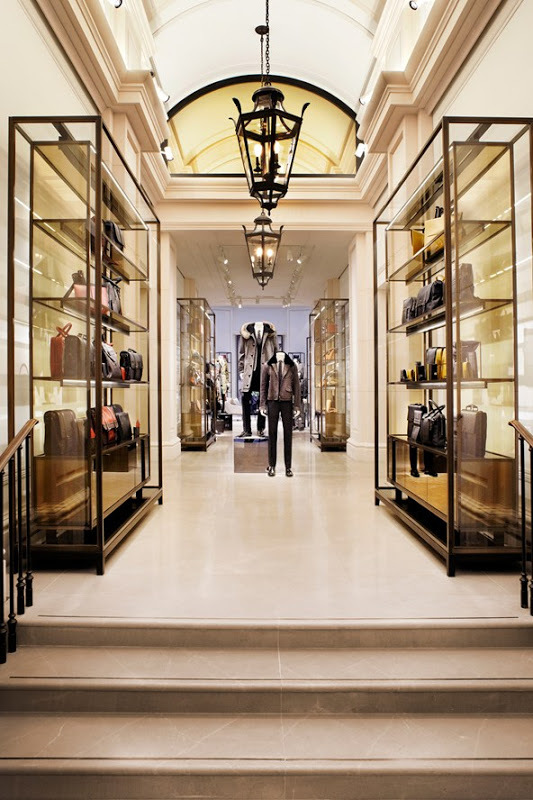 The store in London is magnificent! Love it! hi! Just found today you'r blog! I'm already following, can you follow back and see my blog? Amazing shop! i like it! Beautiful! Burberry is so much underestimated this last few years. I LOVE their collections. I love Burberry so much. It's always very stylish and elegant. The store is perfect. Burberry ALWAYS gets me drooling ! Congratulation!Thats fantatsic and I think it's about the time. i'm totally into mens fashion. and burberry is my second favourite brand, so this is like heaven for me <3. fantastic blog!!! i love it!!!!! Wat prachtig! Als ik een man was zou ik alles leegshoppen hahaha. good for burberry. and i love it they've considered having an in-house tailoring service. The store looks just stunning! realllly nice blog you have here! I'm following you! It's really interesting to hear about your involvement with ethical fashion. A lot of what I think of as ethical fashion falls in the same category as most catwalk items for me - it is just too expensive and isn't available anywhere nearby. The things I own in that line were all got from charity shops! And then I feel ethical in another way! Which you do say counts for the challenge.